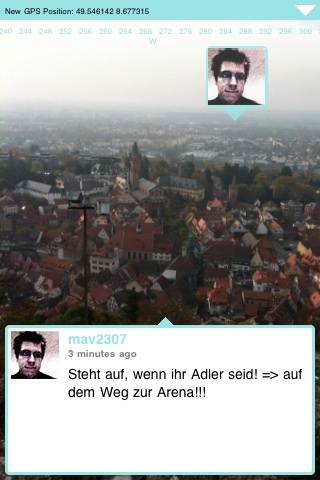 From today on the original augmented reality Twitter viewer TwittARound for the iPhone 3GS is finally available in Apple’s App Store. 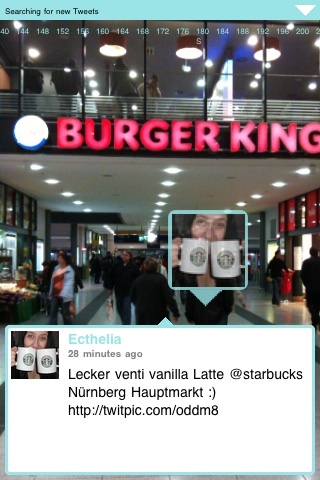 TwittARound shows current Tweets around your location right at the spot they were written via augmented reality. 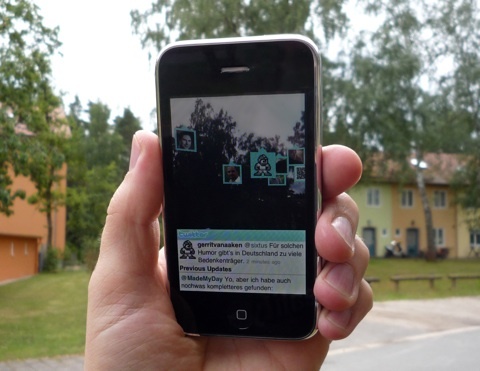 First demonstrated in July 2009 it was the first augmented reality application for the iPhone showing real time social network data. 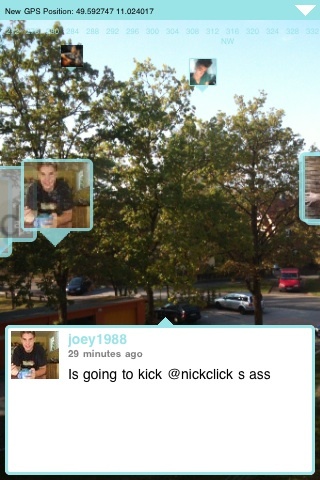 Techcrunch: Augmented Reality Twitter App Looks Awesome. Hope Apple Thinks So Too. Michael Zoellner (Dipl. 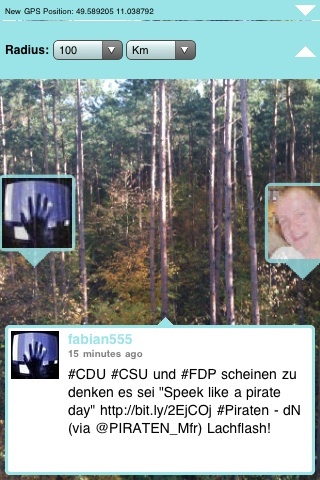 Designer) works for more than 7 years on augmented reality solutions at Fraunhofer IGD, the world’s leading institute for applied Visual Computing. His main focus is augmented reality in cultural heritage where he developed projects like iTACITUS (EU), Augmented Reality Sightseeing (FhG) and Future for the Past for the Allard Pierson Museum in Amsterdam and published several scientific papers on the topic.